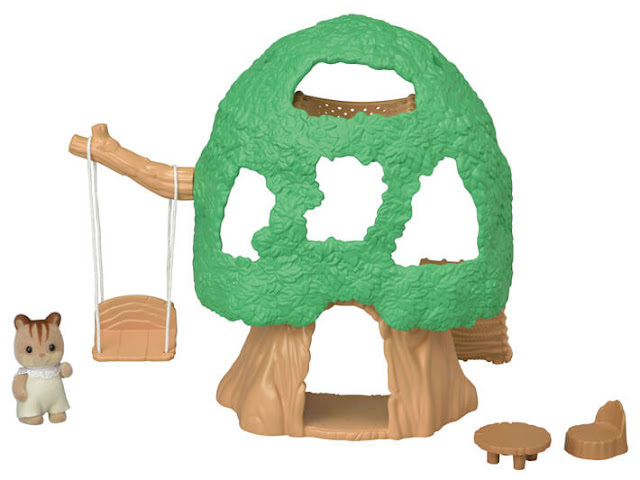 These beautiful play sets from Calico Critter are sure to be a favorite. They are sweet and adorable and have an innocence about them. I want to show you a few items that are available from Calico Critters. 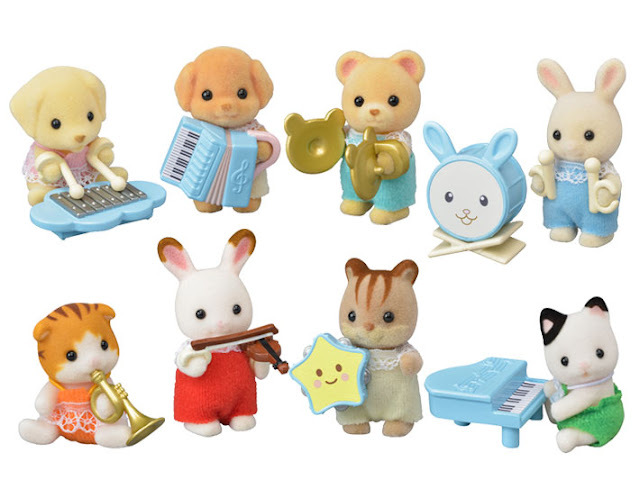 These made great holiday gifts for any girl or boy, and even for adults who like to collect them. These sets were made with so much detail and you can see the love that is put into creating each one. 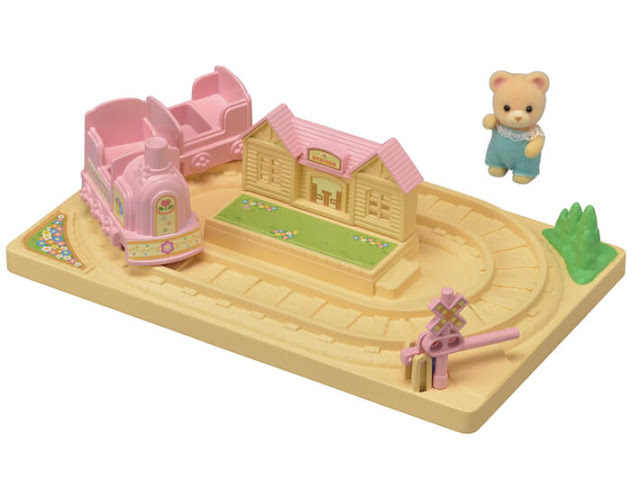 Baby Choo Choo Train - This set includes Jason Cuddle Bear figure. It is read for play as a stand alone. The train cars can be pushed along the tracks by hands for imaginative play. One baby can fit into each train car. Also contains railroad crossing with movable gate. 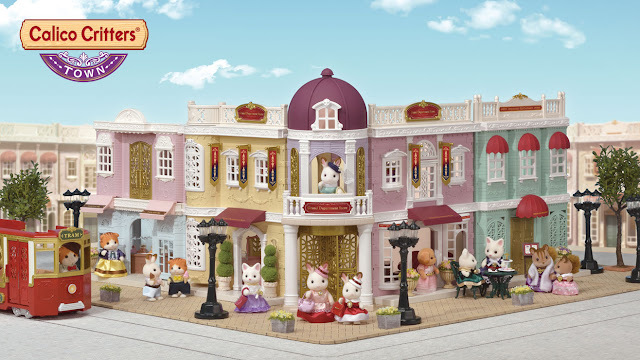 There are several items that are available in the Calico Critter Town Girl Series. 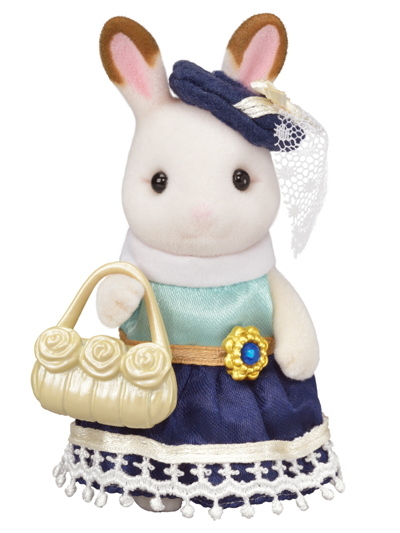 They include this adorable figure, Stella the Hopscotch Rabbit who is a dress designer, Laura the Toy Poodle, and Lulu the Silk Cat. (each sold separately. Each figure is dressed in a beautiful silk dress and has their own special accessories. They are ready to go out shopping in town. These figures are perfect for imaginative play. 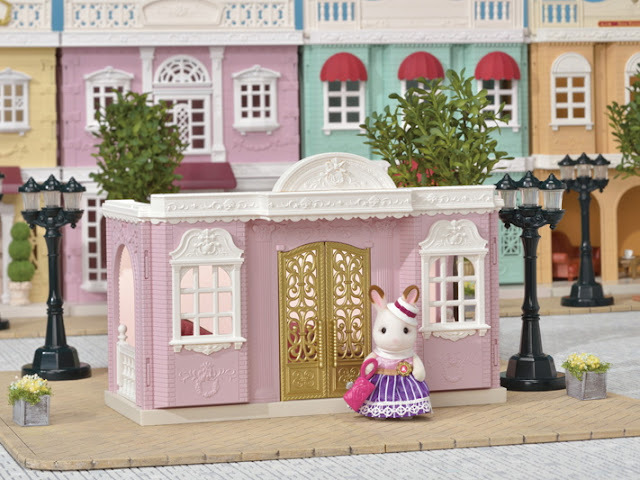 The Calico Critters Designer Studio is Stella the Hopscotch Rabbit's private studio. She works as a dress designer in town. Calico friends can sit and enjoy a lovely cup of tea inside. This set is beautifully designed with so much attention to details. Stella is included and is dressed in a different dress that she designed. This set can be used with the Calico Critter town with other buildings in the Town Series. Other buildings include: Grand Department Store, Delicious Restaurant and Gelato Shop, among others. 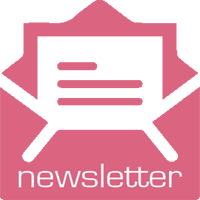 Buildings and shops can be customized by replacing windows, fences and awnings, which are each sold separately. 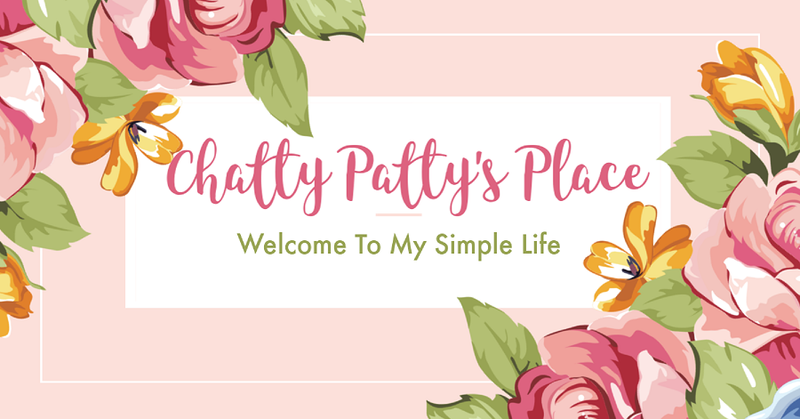 Disclosure: I received products to review for my honest personal opinion. I love this! I have a house a some animal friends.